Eastern Europe is one of the new frontiers of tourism. When the Soviet Union collapsed in the early 1990s, a completely new world order came into being. Countries like Poland, Romania, Hungary and Bulgaria shook off the iron grip of Communism. Nations like Czechoslovakia and Yugoslavia split up into several new nations. The Baltic countries – Estonia, Latvia and Lithuania – became independent as well and developed their own identities. Today, 20 years after the end of the Cold War, we have a myriad of countries in Eastern Europe that are part of the former Soviet Bloc or were ruled by Communist leaders: Albania, Armenia, Azerbaijan, Belarus, Bosnia and Herzegovina, Bulgaria, Croatia, the Czech Republic, Hungary, Georgia, the Former Yugoslav Republic of Macedonia, Kosovo, Moldova, Montenegro, Poland, Romania, Serbia, Slovakia, Slovenia, Ukraine, and of course the core area of the former Soviet Union: Russia. Prior to the fall of the Soviet Union, most of these countries were extremely difficult to access, ruled by totalitarian regimes and with an extremely poor infrastructure. Over the last 20 years much of this changed. Some former Eastern European cities and regions have become extremely popular tourist destinations: cities like Prague, Budapest, Belgrade, Lubljana, Zagreb, Dubrovnik, Bucharest, Krakov, Kiev, Saint Petersburg and Moscow wow visitors with their history, their architecture and their artistic treasures. Interest in Eastern Europe food and music is increasing. Michael Palin, of course, is most familiar to us as a member of the Monty Python comedy group whose 1970s hits included “Monty Phython’s Flying Circus”, “Monty Python and the Holy Grail”, and “Monty Python’s Life of Brian”. Michael Palin himself is fondly remembered for famous sketches such as “The Lumberjack Song”, “Dead Parrot”, “Spam” and “Argument Clinic”. In addition to his comedic talent, Michael Palin is also known for being “the nicest man in the world”. And this nice guy image comes across extremely well in his BBC television series “Michael Palin’s New Europe”. In the seven installments of this high-definition visual travelogue he shows a sincere interest in the locals, provides informative historical context and is a great sport, even when a woman in one of the Baltic countries puts blood-sucking leeches on his naked chest. Michael Palin always finds a way to relate to people and to convey knowledge in an entertaining and informative way. in 2006 and 2006 he released “Michael Palin’s New Europe”. There is even something called the “Palin Effect”, where places that he has visited become popular tourist destinations. Michael Palin has had a big impact on the hearts and minds of many travel enthusiasts. Travel is wonderful, but when I am not on the road, there are many different programs out there that bring the world into the comfort of my home. One of them is “Michael Palin’s New Europe”. Have a look at my article series (including photos and embeeded videos) about Prague travel. Here are my travel experiences in Ptuj, Slovenia. 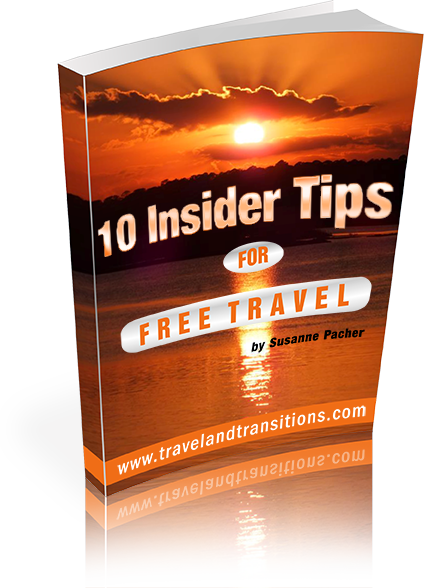 Please visit my website for tons more travel advice and travel stories.